Do you wonder how to help your child develop a love of reading? Amy Mascott and Allison McDonald have a new book that simplifies the process … and gives lots of easy and fun ideas for activities. Disclosure: I was given a copy of Raising a Rock-Star Reader. As always, my opinions are honest and my own. This post contains affiliate links (at no cost to you). 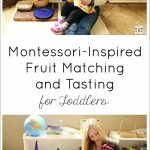 Amy Mascott (of Teach Mama) and Allison McDonald (of No Time for Flash Cards) are highly respected bloggers and educators who’ve put their extensive knowledge of reading instruction into a simple-to-use book for parents. 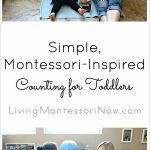 I love the format with 75 tips that parents can use at home. 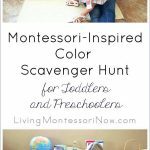 The book also includes activities using free printables. 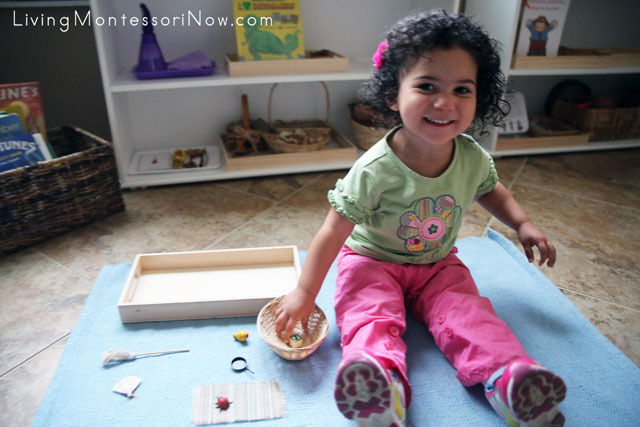 You’ll find a wide variety of language activities for babies through early elementary. My 2-year-old granddaughter, Zoey, loves sounds, music, and reading. What better way to combine elements of all three than with a fun rhyming activity? I was inspired by the book’s Tip #31 (Make a rhyming treasure box) to put together a rhyming activity for Zoey. The rhyming treasure box in the book uses a basket of object with matching words. There are also extension rhyming activities. Because of Zoey’s age, I just wanted to introduce her to the concept of rhyming in a relaxed, hands-on way. 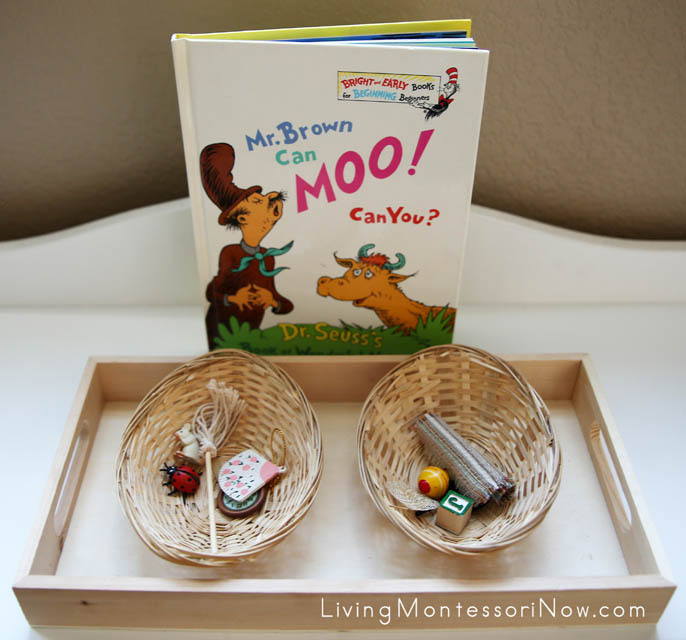 I decided to start with a fun Dr. Seuss book, Mr. Brown Can Moo! Can You? I chose that book because it’s one of the less fanciful Dr. Seuss books for a 2 year old and emphasizes sounds as well as the usual Dr. Seuss rhythm and rhyme. But really, almost any Dr. Seuss book (or any children’s book with lots of rhyming words) would work well. Zoey asked me to read the book 3 times. Along with reading the book, I talked a bit about the book’s rhyming words. Then I introduced the rhyming activity tray to Zoey. I used rhyming objects from the Montessori Services language objects (mop, top, fan, pan, bug, rug, rat, hat, clock, block). I placed the objects from the left-hand basket in a vertical row on the rug. Then I matched the objects from the right-hand basket to their rhyming object. After I demonstrated matching the objects, I let Zoey have a turn. (Note: For a toddler, you could simply say, “Mop rhymes with top. Can you find the top?” Older children can match the objects on their own.) When we got to the rug, Zoey put the bug on the rug. That gave me the idea of putting each rhyming object on its matching object. Zoey especially loved it when I put the hat on the rat. She thought that was hilarious! Then Zoey spent some time putting the hat on the rat. 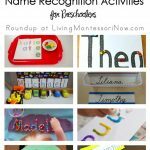 We had a lot of fun with the activity … a very easy activity to prepare and a relaxed way to introduce rhyming. You, too, can easily prepare simple, fun pre-reading or reading activities by following the book’s tips. I highly recommend Raising a Rock-Star Reader. 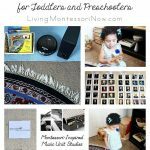 With it, you’ll be sure to find some simple and fun ways to help your child become a rock-star reader. Looks like a great book! I love the activity you paired with it. Pinning and sharing! 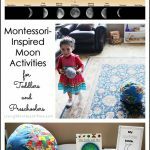 How would you balance the desire to buy materials to make Montessori homeschooling more manageable but also realizing that I could make do with what I have around the house? I’m so tempted to buy this set of little objects for introducing sounds to my 3 year old. I have sand paper letters and we’re doing some very basic work with beginning sounds. I feel like I inspired to work with her but get bogged down feeling like I need the “right” things! I think she’d really like the little objects. Currently we’ll do little “hunts” around the house for objects starting with the letter we’re working on. I think this approach is a little hard for her because the concept of letter sounds is so new. But this question relates not only for this to post but all your posts with such great ideas–I’m always inspired to buy one more thing. Do you have a post or maybe could write one on the top items you would recommend? Since we’re planning on having 4 children (we have 2 currently), I do feel like it’s an investment that’s worth while if we homeschool all 4! But I don’t know how much of me is more inspired by getting it “just right” vs. just making due with what I have. Thanks for the advice in advance!